Technical Support on Submission of Design Documentation (e.g. AIP Form C). Geo-Environmental undertook a detailed ground investigation, on behalf of Berkeley Homes, for a major new development which included housing development, community centres, school and 1.8km of new by-pass, 1km of which was over deep soft ground. These conditions, combined with the scale of the site, meant that the investigation and assessment strategy for this development would be complex and challenging. The investigation included comprehensive laboratory testing for geotechnical and contamination purposes, the compilation of an interpretative report and preliminary design for earthworks, foundations and embankment construction over deep, soft ground. The main phase of site works were completed within a four-week window. This was a challenging site both in terms of the scale of development and complex ground conditions. Through a combination of early involvement, availability of relevant technical and professional competencies and clear communication with the Client, Geo-Environmental was able to assess key issues at a very early stage and through understanding the form of development and the Client’s objectives, to design a ground investigation to assess a broad range of technical issues and thus provide the Client and other members of the design team with appropriate advice to enable objectives to be met. In addition to routine investigation and assessment to support geotechnical and contamination assessments, Geo-Environmental provided specialist services in relation to the investigation and assessment of soft ground associated with buried river channels and the implications for foundation, road and embankment design. On such a large site with known difficult ground conditions, scoping a ground investigation which is sufficient to mitigate risks, whilst also understanding the need to manage costs, is a difficult balancing act, but one that Geo-Environmental managed to get right. Geo-Environmental works closely with clients and other members of a client assembled team to deliver pertinent information and provide technical advice in a timely and cost effective manner. 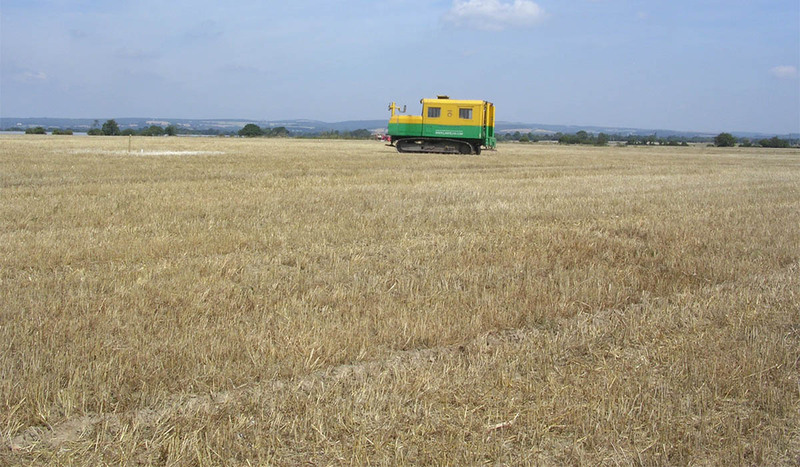 Geo-Environmental’s experienced Geotechnical Engineers were able to identify abnormal conditions, assess a range of development and construction options and provide technical support in progressing integrated design solutions to achieve key objectives.